Changing venue? Take your Place & Play with you. No fuss, no heavy drilling. 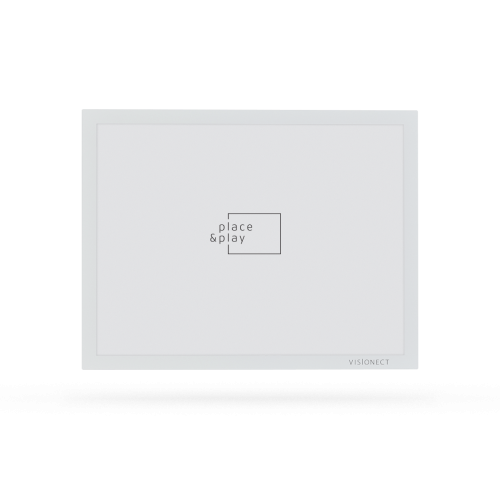 An additional magnet pair for Place & Play 13” to help you install your digital sign in a new location. Shipping included in price. We ship worldwide within 1–2 business days after receiving payment. Additional taxes and fees may apply for shipment to countries outside the EU. 30-day money back guarantee and a standard 1 year warranty. Please keep the 2 magnets that make up a Magnetic Mount together. If moving devices, make sure you also replace the magnet located at the back of your device. Access detailed mounting instructions here. Simplest installation on any firm surface.